Co-founder of GRANULAR-SYNTHESIS with Ulf Langheinrich in 1991, Kurt Hentschläger has been working on solo projects since 2003. FEED.X © Kurt Hentschläger FEED.X is a performance set in an artificial environment without human performers in the flesh. Its visceral in nature. 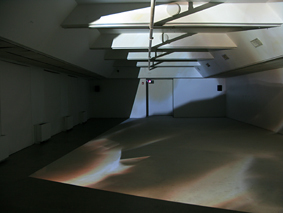 The precursor, FEED, was conceived of in 2004, designed to convey a duality of the real and the rendered (processing) space. 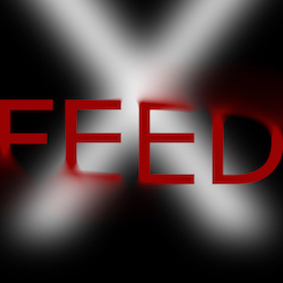 FEED.X, 14 years later, makes less of a sensual distinction between the real and the simulated, instead staging a more unified, though still hybrid reality, wherein boundaries continue to collapse. This is the new prosthetic hybrid real: physical yet still simulated, natural yet still constructed. 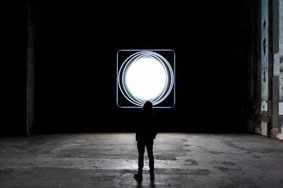 FEED.X points to the limits of human perception, employing both sensory deprivation and sensory overload, to immerse its audience in a seemingly infinite, kaleidoscopic architecture, a realm of pure light and sound. CLUSTER.X © Quentin Chevrier CLUSTER.X, a special edition of CLUSTER, is a hybrid media performance designed to be played by a group of virtual bodies and the Ensemble Intercontemporain. Visually, it describes a meta-organism with a decidedly anti-individualistic character, yet still unmistakably human. CLUSTER © Kurt Hentschläger CLUSTER, the next generation of Kurt Hentschläger's generative 3D and audio work, is moving the focus onto group behavior, -psychology and interaction-, particularly looking at swarm phenomena. A simple yet absurd setting is proposed - 3D human characters appear as a school of fish in otherwise impossible physical conditions. 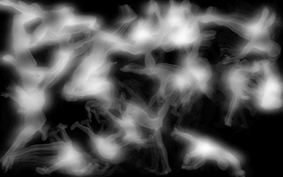 In the weightless choreography of Cluster humans appear mostly as anonymous particles, as a pulsing, amorphous mass, a cloud of blurry matter from body parts and light. The work is visually fluctuating between realistic and abstract forms. FEED © Kurt Hentschläger For many years Kurt Hentschlager's central interest has resided in the intimate relationship between human beings and their machine extensions. 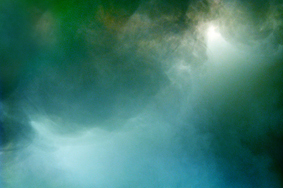 FEED is an autonomous digital system, an abstract spectacle composed of light, sound, fog and virtual human figures. Commissioned by the 2005 Venice Biennial. SOL © Timo Ohler SOL is the third work in an ongoing series, after the live performance FEED (2005) and the installation ZEE (2008). 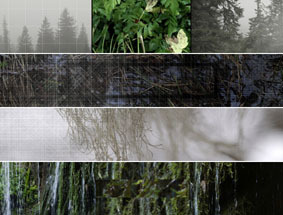 MEASURE © Kurt Hentschläger Kurt Hentschläger's new panoramic audiovisual installation MEASURE is part of an emerging body of work which reflects on concepts of nature in the 21st century. As nature filtered through some form of media becomes a new norm, the boundaries blur between mediated and physical, direct experiences. The question Hentschläger therefore poses is what is nature, actually, today and whether or not an "original" can still culturally exist in the Anthropocene, in this age of human influence. What then is real, in the sense of the pure and the original, and what is constructed and artificial? The boundary has somehow shifted. MEASURE was commissioned by Audemars Piguet and presented in Art Basel in Hong Kong, Basel and Miami in 2014. CORE © Kurt Hentschläger CORE is the next generation of Kurt Hentschläger's generative 3D and audio work. CORE is best imagined as a sequence of windows onto a weightless world populated by discrete groups of humanoid figures. These figure or clones (they are all identical) interact sometimes instinctually, like a school of fish or a flock of birds, and other times like intricately choreographed modern ballet or synchronized swimmers. faceted organism, in constant motion and interplay, without beginning or end. 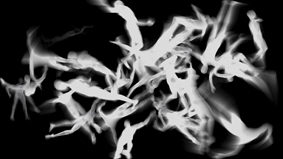 HIVE puts the visitor into a maelstrom of amorphous human figures, which are less prominent as individuals but appear as an interconnected meta-body or hive. Generative in nature, being a real-time computed construct, HIVE takes on a notion of artificial life and organism, in eternal motion and interplay, without a beginning or end. HIVE's loosely choreographed motion, light and sonic patterns create an immersive, highly dynamic landscape, a puIsing and swirling and enveloping audiovisual matter. The sound in HIVE is created by the events present- induding swarm motion and behavior as weil as changes in light and color. All visual appearances render a sonic expression. 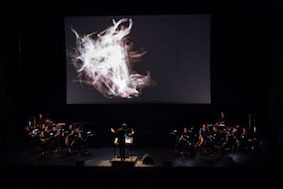 Premiered 28 May 2011 at Borusan Music House, Istanbul (Turkey), as part of "Madde-Işik 2" exhibition. 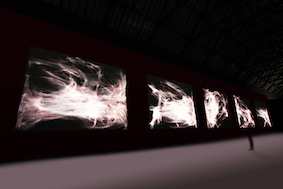 RANGE © Kurt Hentschläger RANGE is a generative audiovisual installation fluctuating between abstract and realistic forms, with neither beginning nor end. ZEE © Kurt Hentschläger Based on the research and findings with FEED, the performance, ZEE is expanding on composing with multiple interfering strobe lights amidst fog and the effects those have on a human perception and decoding apparatus: the brain. SCAPE © Kurt Hentschläger SCAPE is a contemplative work, a video-landscape with surround sound in which time is the subject. Time contracts only to ultimately expand. 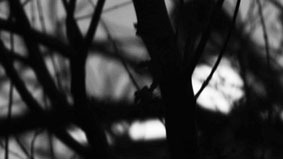 A bare-bones minimalist tree in black and white moves in and out of focus in a slow pan evoking the scrolling of a Zen bamboo ink drawing, as the focus of attention slowly shifts and dissolves, at the edge of our perception. > KARMA/X: what started as an adaptation turned out to become the next generation of the KARMA series, which further examines the patterns of interaction and regeneration in a closed system: the weightless cluster of a swarm of clones trapped in a 20m high virtual tank. 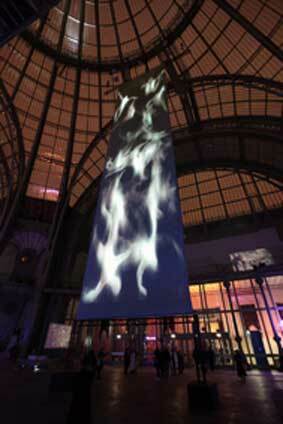 KARMA / X premiered at Grand Palais, Paris (France) as part of "dans la nuit, des images" exhibition in December 2008. The motions and actions of the 3D characters synthesize through an additional sound software, a dynamic sound-track composed on the fly. > KARMA/cave: designed for the CAVE, Ars Electronica Center, Linz (Austria) in 2004. KARMA/cave is a procedurally driven environment, where the user can interact with humanoid 3D characters by means of a very reduced set of actions: either by grabbing or dropping them. 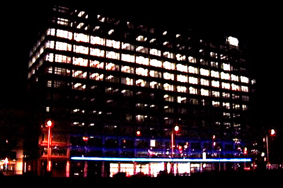 Kurt Hentschläger has created computer controlled lighting projects such as LICHTWERK for the IBM headquarters in Vienna (Austria) in 2001, and more recently NATURE04, the transformation of the 20 story Lilleurope Tower into a luminous kinetic sculpture for Lille 2004  European Cultural Capital. Working on an architectural scale, these projects go beyond the gallery or institutional scale, into the very space of a city. ORT © Bruno Klomfar A 360° visual creation projected all over Oscar Niemeyer's Le Volcan biulding, from 06 to 19 October 2017, Le Havre (France). The work muses on our mediated perception of nature. Recordings of natural environments combined with virtual structures are woven into a seamless, continously evolving artifice. The overall impression is that of a, one way or the other designed, neo-natural planet. A camera studiously yet magically pans 360 degrees around the entire grassy marsh and pond both in close up and a more distant view. The two are surreally composited together, slowly blurring time and space. 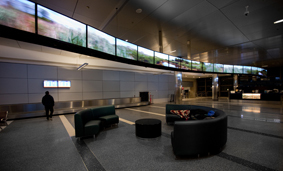 Opened since 1st May 2010 at Los Angeles airport - Tom Bradley International Terminal.